The Kalash— Pakistan’s Dionysiac White Tribe. The Kalash are a fair skinned, often fair-haired and light eyed people nestled in three valleys in the heart of the soaring peaks of Pakistan’s Karakorams. They are considered unique by virtue of their belief system — a theological oddity in an Islamic fastness. In the 4th century when Alexander attempted to invade India, these Dardic people stretched from Jalalabad in Afghanistan to the Indus, an area roughly 68,000 kilometres. They are now confined to about a dozen villages in three valleys, with a total population of fewer than four thousand. 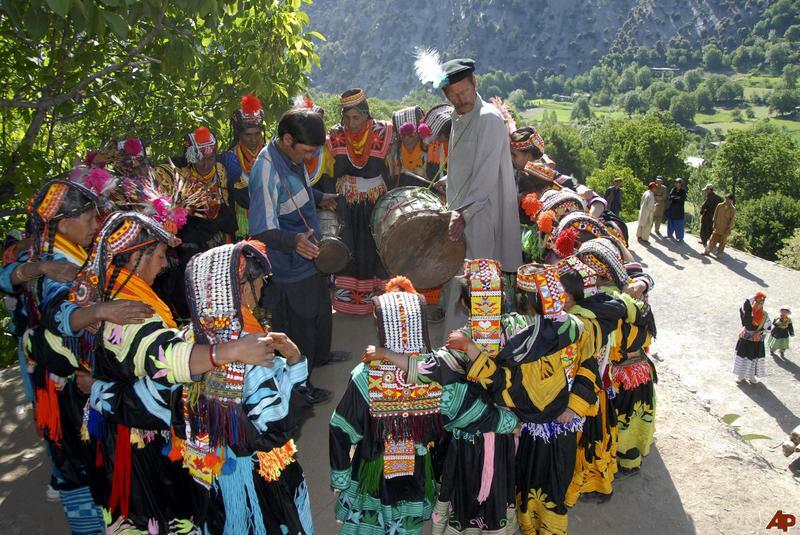 By the 14th century, most of the Kalash had chosen Islam over polytheism, wine-making and other pagan traditions. So the Kalash are not a ‘lost’ tribe but just the remnants of a people who chose Islam over their ancestral religion. Kalash, means those who wear the black robe. Their ancestry is embroiled in intersecting theories that boost fanciful personal agenda. The version that seems to have fixated the world’s fancy is that deserters from Alexander the Great’s army settled in the valleys and the Kalash are their progeny — or perhaps even Alexander’s himself, although that would make them swarthy Macedonians, a tad disappointing. Rudyarad Kipling’s The Man Who Would be King further fed this childlike desire to solve a puzzle or find a treasure exclusive to the finder. For further reading you may consult Dan Brown’s bank account! More on this in Part II, but whatever their ancestry, the Kalash are certainly an endangered minority. As polytheists, their culture is distinguished by a pantheon of deities appeased through animal sacrifices. They grow and make their own wine which they consider sacred. Seasonal festivities are celebrated with wine, music and dancing. 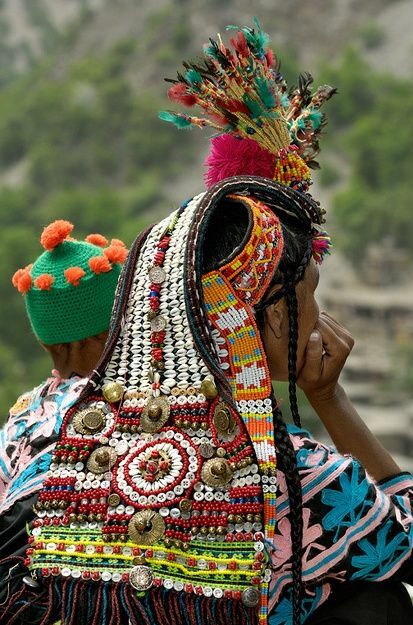 Free-striding, bare-faced Kalash women in their headdresses intricately woven with cowrie and crowned with multi-hued feathers are believed to be part-fairy. They choose their husbands if they so wish. Shepherds and subsistence farmers by tradition, tourism and trade are nudging the Kalash into a cash-based economy. And they don’t really mind. Roads, cell phones, clinics and schools are bringing them out of their isolation. Yet, Kalash who have managed to integrate themselves into the Pakistani system without giving up their belief system are a rarity. They are not, after all, a species to be preserved in a zoo. Breaking the vicious circle of poverty and ignorance through education and socio-economic mobility is probably a better guarantee against cultural encroachment than half-hearted legislation that is high on spin and low on application. 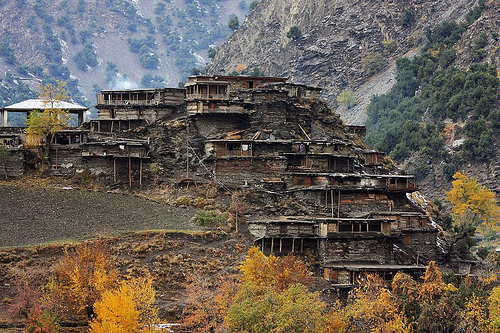 The Kalash’s descent from Alexander the Great is a romantic story that reels in tourists. Even though a DNA test failed to establish a connection, the Greek Foreign Ministry’s Hellenic Association has been aiding the Kalash for quite some time on the basis that charity begins at home. The effort is laudable even if they got the wrong address like American commandos did in Yemen on November 25th. But then, us homo sapiens are prone to believe what they choose. Thinking of the Kalash as lost Greeks is an enjoyable thought that feeds upon itself. Excellent piece, Azam. In 1986 when everyone else was gaga-ing over these “Greeks” I trashed the theory. The article is now part of my book Riders on the Wind. In 2001, while making the 13-part documentary for Pakistan TV, I did it all over again. But idiot Urdu travel writers with no grounding in history are still carrying on. And the Greeks, unmindful of the egg on their face, are at it too.